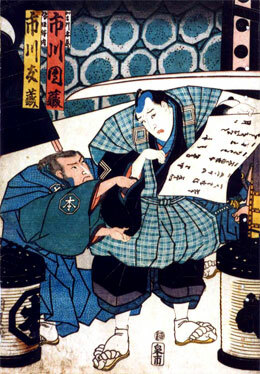 The actor Ichikawa Danzô IV held the name of Ichikawa Tomozô I from the 11th lunar month of 1768 to the 10th lunar month of 1772. 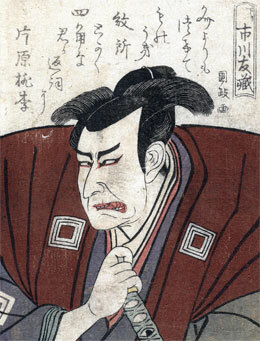 The actor Ichikawa Gentazaemon held the name of Ichikawa Tomozô II during the Kansei era for a few years, then from the 11th lunar month of 1812 to unknown times. 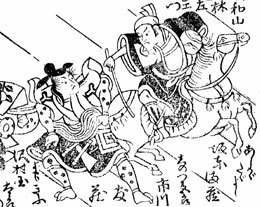 The actor Sawamura Shirogorô III held the name of Ichikawa Tomozô III from the 3rd lunar month of 1819 to the 10th lunar month of 1828.